If you haven’t seen it already, check out today’s earlier blog, which includes the separate images used in Tiling Two: Brain Battle. What tile patterns would you have made by rotating, reflecting and grouping the images? 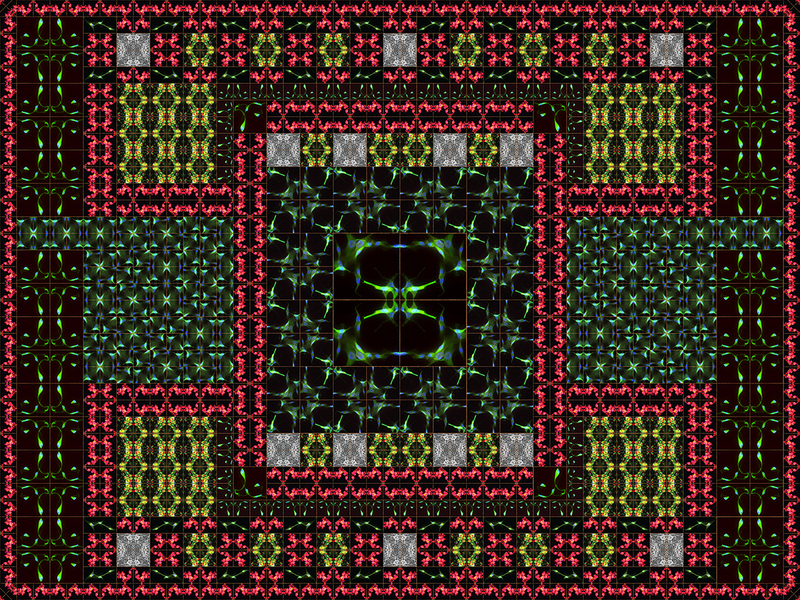 This entry was tagged arts, cell artwork, cell images, Glioma cells, Nancy C Qutub, Nancy Qutub, research efforts, tile patterns. Bookmark the permalink.